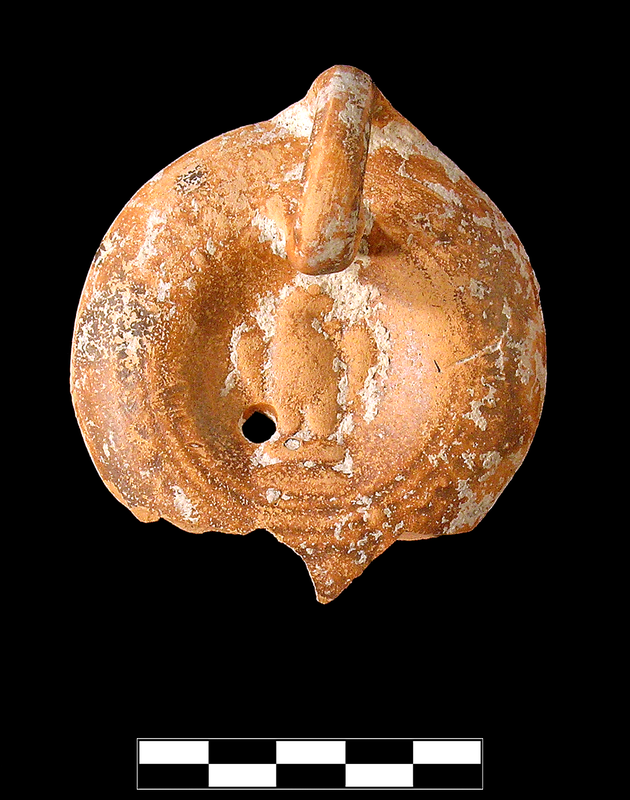 Circular, concave discus has filling hole lower left, figural relief, and two, rounded framing rings. Relief shows facing eagle with folded wings, head turned to left on two-step podium. Later generation within type series? Round shoulder has small ovules and one double circles at either side of nozzle. Heart-shaped nozzle. 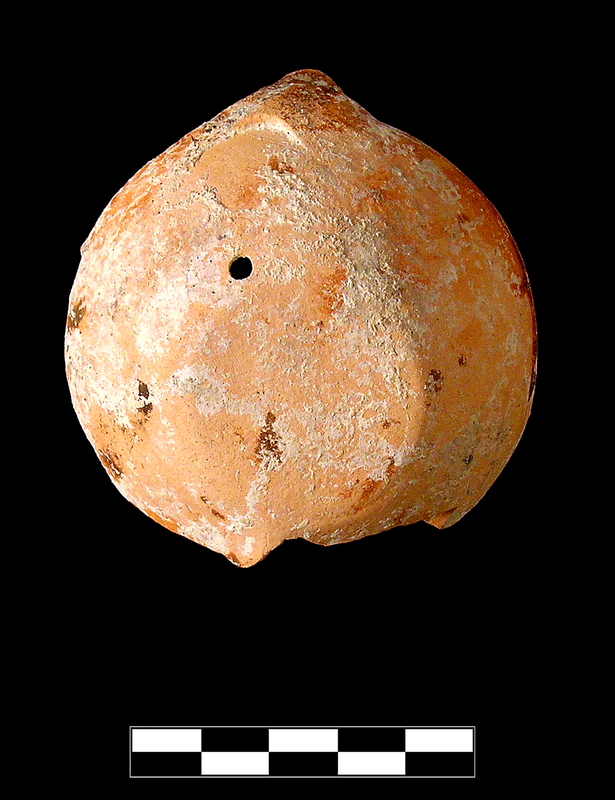 Slightly raised, circular, plain base. Small hole pierced(?) in back wall just above base. Fabric: 5YR 7/7, reddish yellow. Slip: 5YR 5/6, yellowish red. Fine, somewhat soft fabric with very rare, very small, subrounded, dark red to black inclusions and very slightly, faintly micaceous. Semilustrous, somewhat thick, somewhat uneven slip across discus and shoulder that is flaking in small pieces. Cf. KL054. Intact except nozzle. Slight, extensive abrasion and slight gouging; slight to moderate, extensive encrustation.